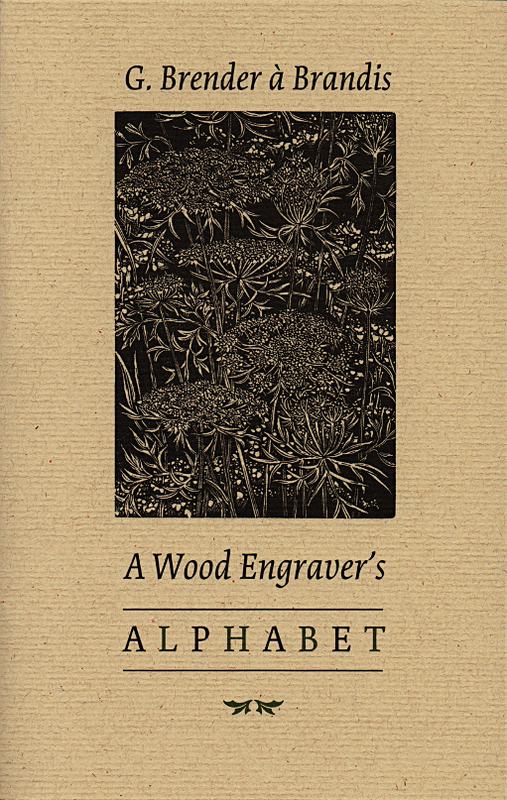 An elegant little alphabet book for adults using original wood engravings of flowers to represent each of the twenty-six letters. Uniform in format with the bestselling Wood, Ink & Paper (Porcupine’s Quill, 1980). Wood engraver Gerard Brender à Brandis has long been an avid gardener and botanist; his encyclopaedic knowledge of the plant world animates the exquisite microcosm of A Wood Engraver’s Alphabet. This collection is intended both for the student of the complexities of nature’s creations and the patron of the intricate art of wood engraving. The images are presented in the form of an alphabet book but the simple, and sometimes elementary, appreciation of the alphabet format will not suffice here. The abundance of the botanical world, and the multitude of choice available to represent each letter, allows the mind of artist and reader alike to roam free. A short introduction by the artist illuminates the choices he has made and includes historical tidbits about the lexicon of flowers. 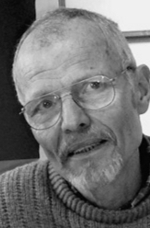 My sister, who is a writer, once told me that she had twenty-six tools -- the letters of the alphabet -- and that it was by constant re-arranging of her tools that she created her work ... the impact on our lives of only twenty-six characters is immeasurable. I didn’t succumb to the tyranny of the alphabet when I started this project. The first drawing to be done on the wood was of a zinnia. But that was pure chance. When Tim Inkster asked me to do this series of engravings it was late September, and I immediately began working with the relatively few flowers still in bloom in my garden or in those of my friends and neighbours. In some cases my choice of a flower for each letter was made for me by what was available. A florist near me orders a few stems of Bird-of-Paradise each year for her Valentine’s Day bouquets, and so I asked her to reserve one for me. It is a plant whose orange, purple, red and green flowers usually appeal more to painters than to artists working mainly in a black-and-white medium, but its rather fierce face is dramatic even without colour. The iris and chrysanthemum engravings are also based on flowers from the same florist. I found a Venus fly-trap at a supermarket, packaged in a tiny pot with a transparent top which made a miniature terrarium. The rose was inspired by another supermarket plant, bought on a very cold day and kept from freezing as I walked home by blowing my warm, humid breath through a hole in the packaging. But many of the plants were drawn in my garden: day lily, wintergreen, Japanese anemone, yellow fumitory, lady’s mantle and morning glory, to mention just a few. A Queen Anne’s lace appeared in a narrow strip of ground between my picket fence and the public sidewalk. Others were drawn farther afield. The adder’s-tongues grow in the woods near Luther Marsh, Himalayan blue poppy blooms in the wonderful garden at Larkwhistle in the Bruce peninsula (would that I could grow this spectacular plant in my garden! ), and fireweed was drawn almost twenty years ago on a trip with a friend through the interior of British Columbia. Working on this series of engravings reminded me that the Victorians delighted in employing flowers to send messages, having an established lexicon of meanings for many common flowers. One might send foxgloves to express a suspicion of insincerity, snapdragons to underscore offence at another’s presumptiveness (and don’t the tight-lipped snapdragons in my engraving have an offended air about them? ), and pansies to confirm ‘You occupy my thoughts.’ And some plants have a unique significance for each of us, associations with events or people in our own lives. I will always associate Japanese anemones with my mother, who died when these flowers were at their height of bloom. Florists, gardeners and botanical artists can use flowers or their images like metaphors, sometimes decipherable to many or to only a few, tools for communication like the letters of the alphabet.